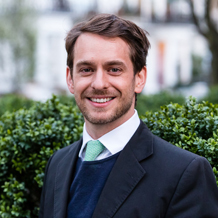 Charlie started his first business, FreshMinds, after studying at Oxford University. Whilst building this business, he was named UK Young Entrepreneur of the Year by Esquire and profiled in Seth Godin’s bestselling book Icarus Deception. Charlie launched Triptease in 2013 to help hotels deliver a better digital experience and increase direct bookings. Triptease pioneered the direct booking movement and quickly gained notoriety for its first product – Price Check. In 2015, the firm was awarded Innovation of the Year at PhocusWright Europe, and Charlie was named in HSMAI’s list of 25 Extraordinary Minds in Hospitality Sales & Marketing. Charlie is a keen sailor and runner, finishing second in the Death Valley marathon.